WTF: What's up with the helium shortage? Buoyant, helium-filled balloons have long been a given at kids’ birthday parties, other celebratory events and Macy’s Thanksgiving Day parades. But helium balloons may be an endangered species. The global supply of one of nature’s formerly abundant gases has been rapidly dwindling, especially in recent months, and Vermonters are starting to feel the dearth. WTF? “I’m just about out of helium, and I will not be able to replace it any time in the near future,” says Kathy Spear of Kathy & Co., a Burlington florist who purchases helium tanks at Haun Welding Supply in Williston. Though balloons are only a small part of her business, she has already had to turn away a bride-to-be and a corporate-event planner. “The thing with balloons is, they take up a lot of space, and they’re nice and bright, and they don’t cost much, all things considered,” Spear says. The invisible gas, with its extreme melting and boiling points, is a vital cooling agent used in MRIs. Helium also plays a key role in angioplasty and cryogenics; helps launch rockets into space; cools down thermographic cameras (the kind used in search-and-rescue operations); and is crucial to scientific research and arc welding. Yet most helium, which is created via the breakdown of radioactive elements in stone, is tucked away deep in the ground and captured only as a by-product of natural-gas production. The helium that isn’t captured (or escapes when a balloon pops) wafts through the atmosphere and is lost in space forever. For decades, we’ve been using the gas at a higher rate than the earth can make it. Storie says the company’s helium supply is at about 65 percent of its usual levels, so hospitals get first dibs, followed by industry and research — welders, labs and the like. Understandably, balloons fall to the bottom of the list. “If there’s leftover helium, we try and share,” Storie says. Most of the world’s helium comes from the dry hills north of Amarillo, Texas, an epicenter of natural-gas production. In 1925, the U.S. government created the Federal Helium Reserve there, a series of underground vats and tubes inside which it could stockpile helium for use in aerospace, defense and science. For decades, the feds controlled the sale of all helium, and in 1960 Congress even passed legislation to compel private producers to sell their helium back to the government. 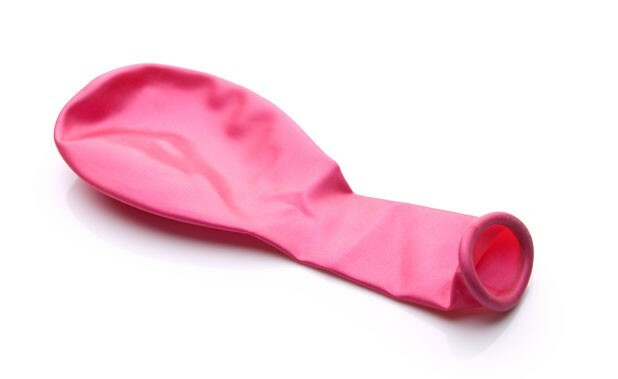 In 1996, however, the U.S. decided to get out of the helium business. The Helium Privatization Act mandated that the feds sell off all their stores by 2015, trusting that private industry would take up the slack. It didn’t quite happen that way: With a glut on the market, prices plunged, and helium production wasn’t a magnet for entrepreneurs. The trend was apparent as long as six years ago, when organizers of the Macy’s Thanksgiving Day Parade first considered eschewing giant, helium-filled balloons. Airgas, which supplies 22 percent of the market, began refusing new accounts this past April, and currently restricts its sales to existing contracts. Sherman says helium will be in “tight supply” until at least next year, when more production facilities come online. So far, medicine and industry seem to be above the fray. A spokesperson from Fletcher Allen Health Care says the hospital has not yet felt the helium pinch. Various welders contacted by Seven Days reported not having taken much notice of the crunch so far. Yet, even with increased production, the U.S. government says the price of helium will rise from $75 per thousand cubic feet this year to $84 next year. At iParty in Williston — which gets its helium from Airgas and hasn’t yet been affected — basic balloons still cost $9.95 per dozen. That is sure to change. Two years ago, Robert Richardson, a Cornell University professor, theorized that we have underpaid for helium-filled balloons for too long — $100 each would be a fairer price, he suggested. “There’s a finite supply of helium. At some point, we’ll stop [having] balloons,” Storie says. Or perhaps we’ll just have to blow them up the old-fashioned way, and hang them upside down.